Last year, Norwich Puppet Theatre hit on a novel fund-raising idea. They asked famous people to design their own puppet, and these puppets were auctioned off at a gala evening which raised £7,000. 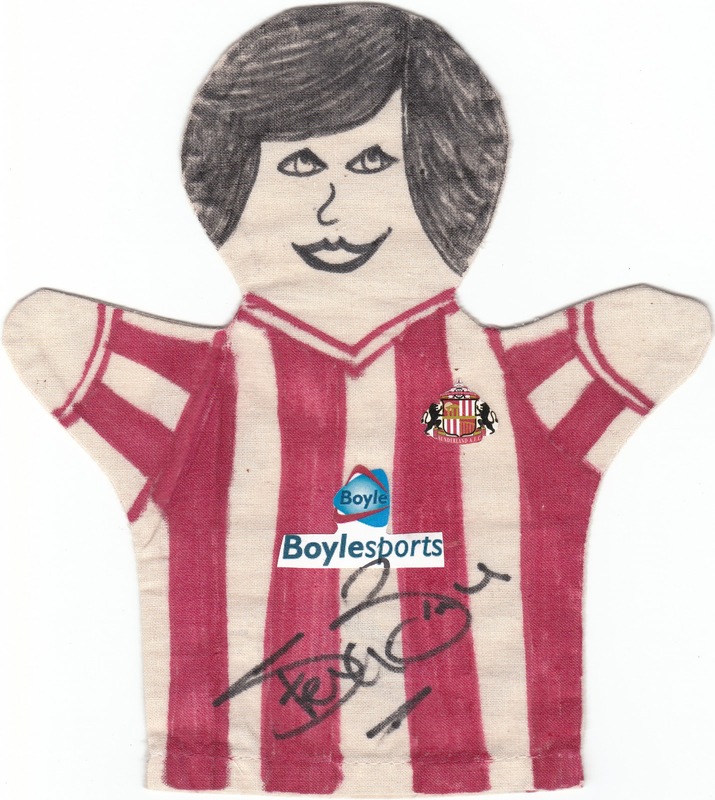 One of those who designed a puppet was Steve Bruce, the ex-Norwich City player and now manager of Sunderland. It's obvious that he spent more time working on the puppet than he did on Sunderland's midfield problems, and as I'm a Sunderland supporter, a friend of mine was kind enough to bid for and buy him (the puppet, that is) as a birthday present for me. So, as Norwich are playing Sunderland this evening at Carrow Road - within shouting distance of where I live - it seems only right that I should introduce him to you. There's nothing I like better than getting the little fella out and showing him off to everybody.